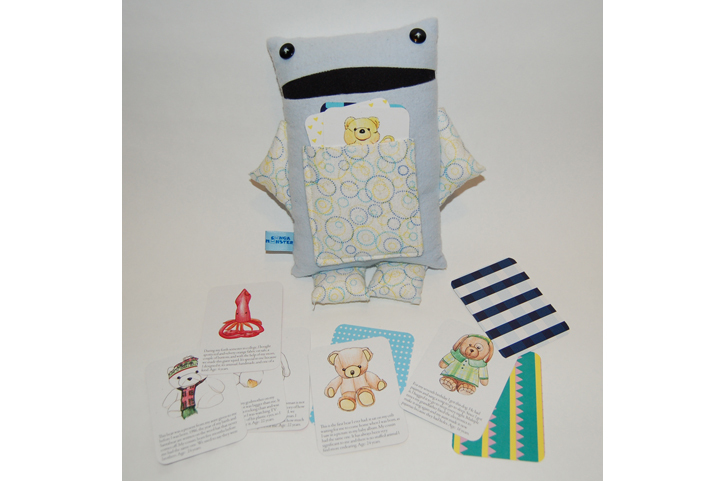 Stuffed Stories is a mash up project that brings together a common theme in a lot of my work, nostalgia and the role objects play in targeting memories in our brains. 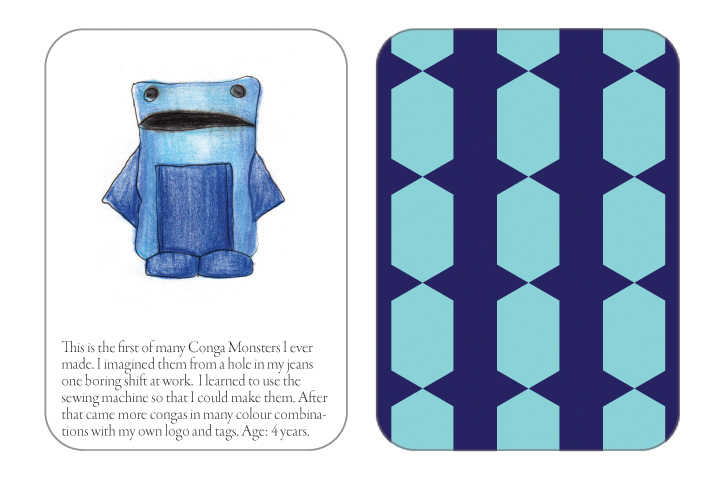 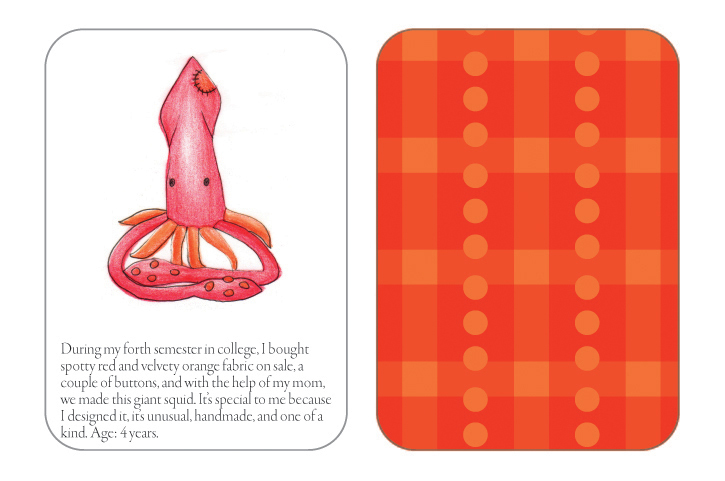 Using A Forkful, Conga Monsters and the Cultural Scarfas a reference I created a set of 12 cards that depict toys from my past and by creating a new pattern I transferred the meaning to a new element. 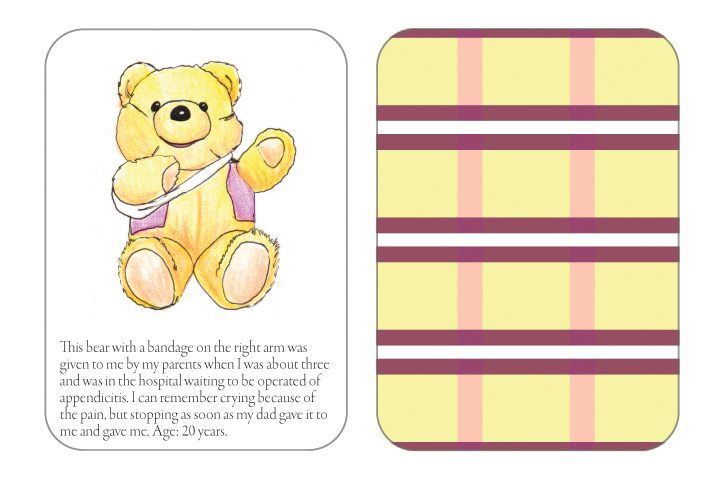 The small card format is reminiscent of flipping through photographs and the hand drawn illustrations give a consistent set. 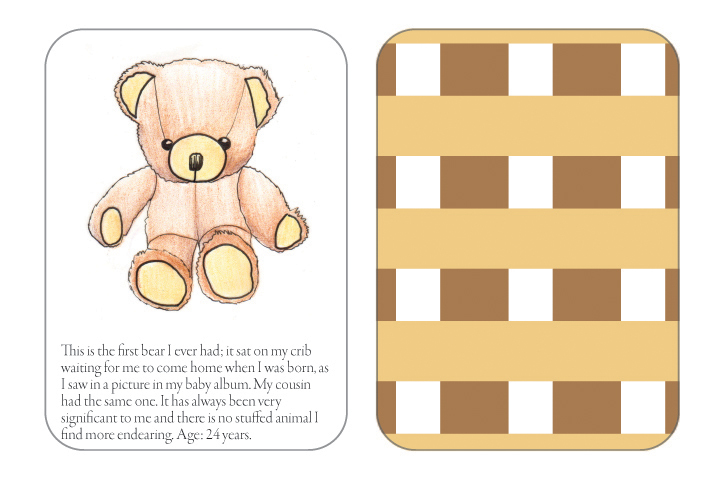 I created patterns using the qualities and colours of each stuffed toy and because the patterns were inspired by these objects, they target the same memories. 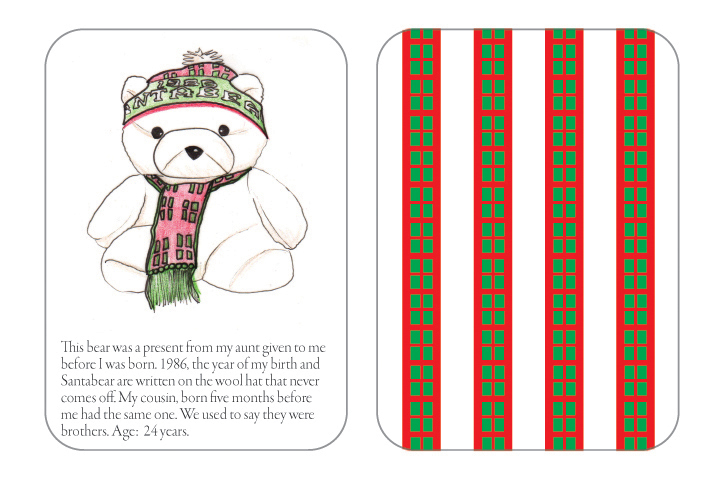 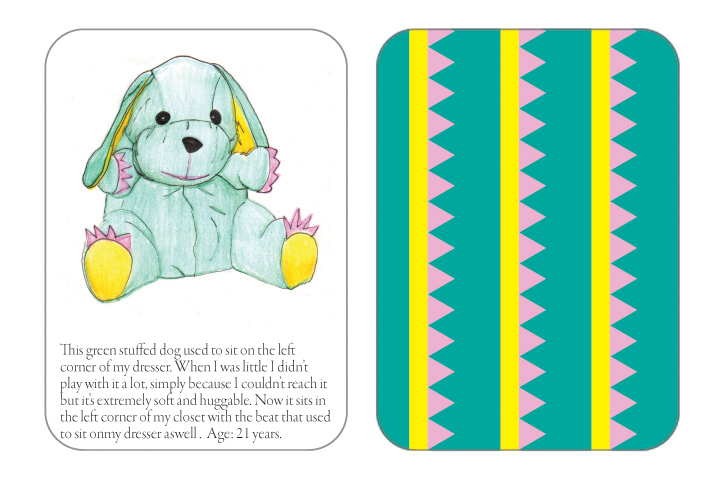 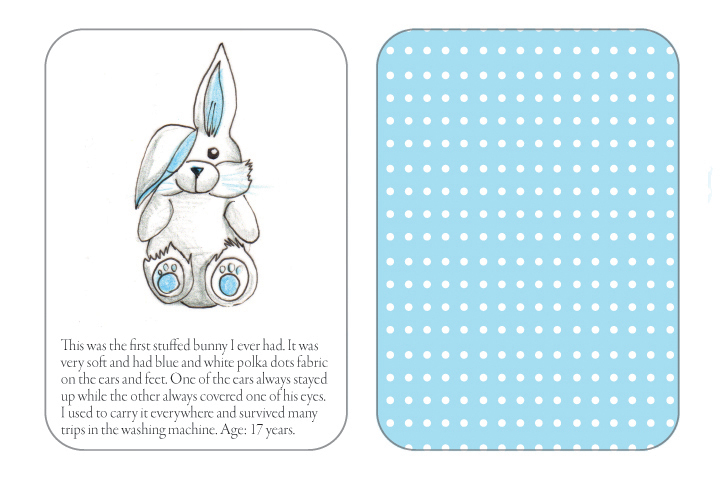 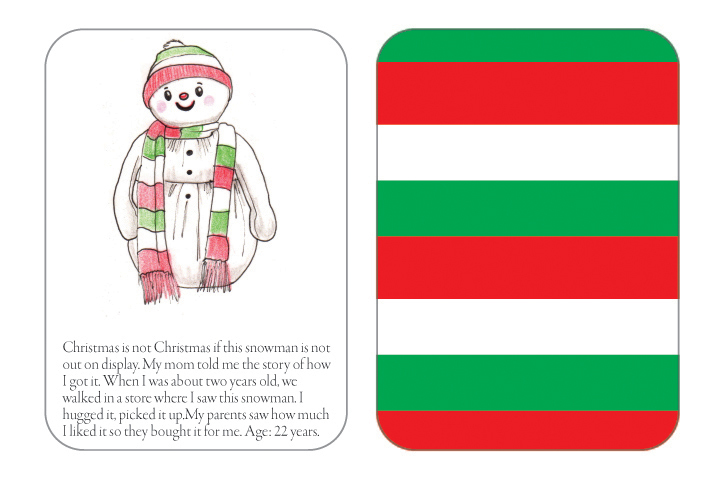 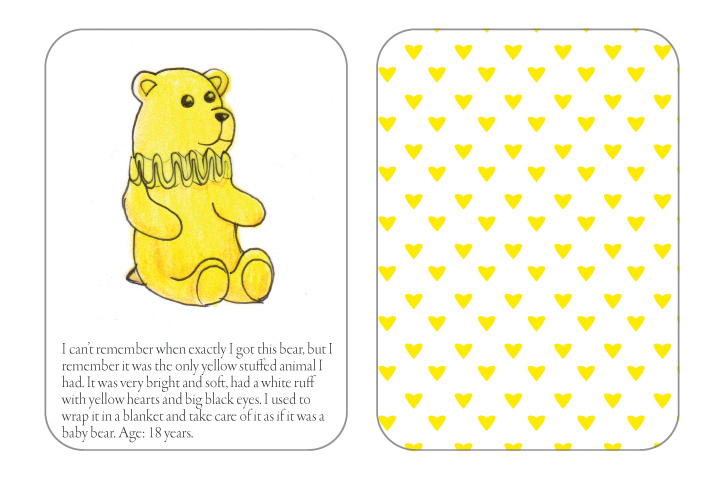 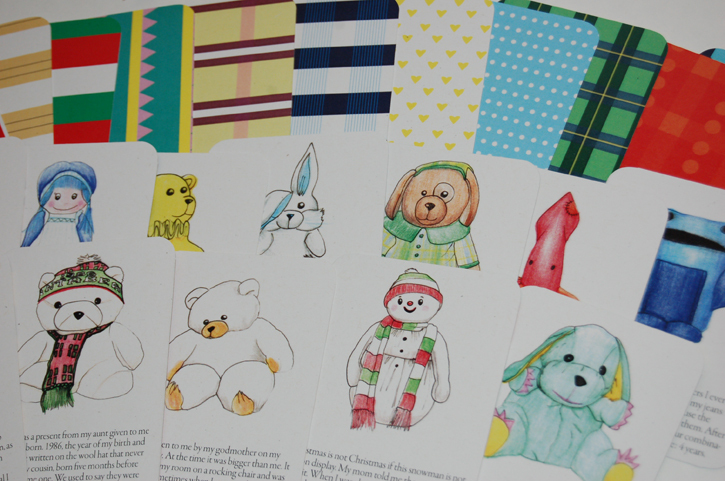 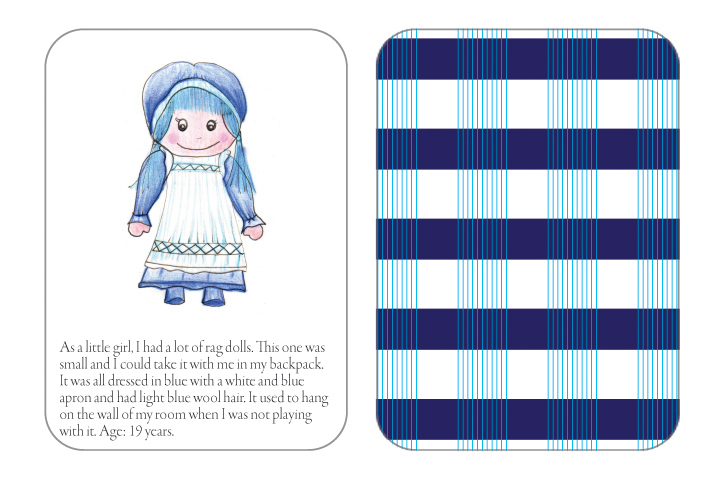 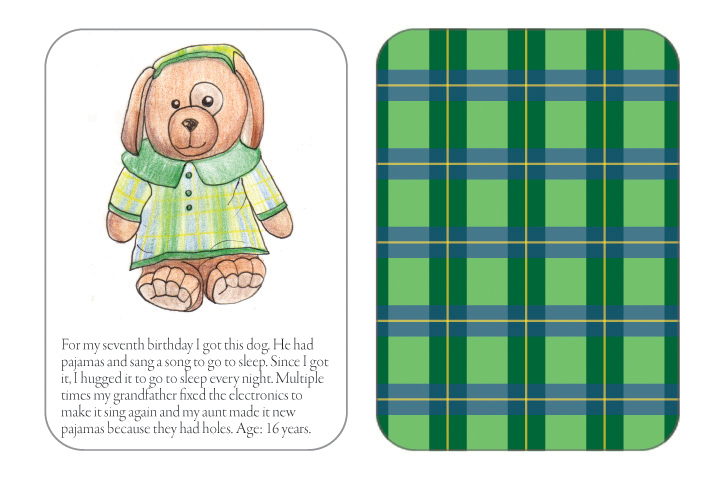 In the front, each card has a drawing of a stuffed toy, the history behind it and the age. 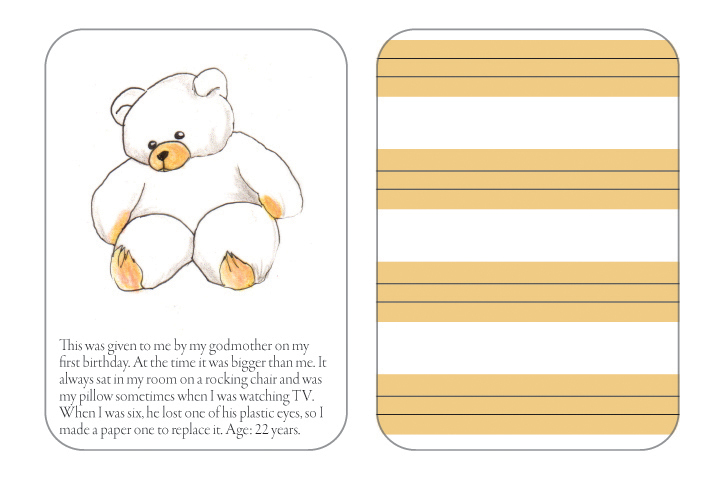 On the back the new pattern they inspired.